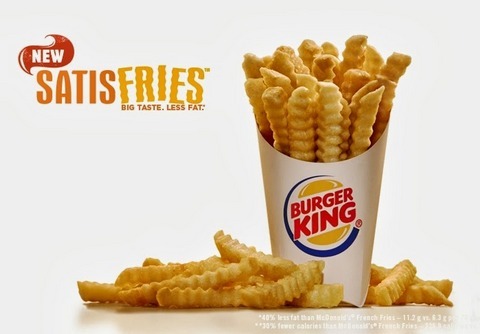 Burger King’s bold experiment with low-fat French fries has left everyone unsatisfried. Burger King is pulling the plug due to poor sales. Who could have guessed? 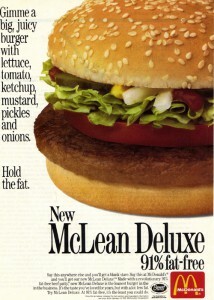 Remember the flop that was McLean? 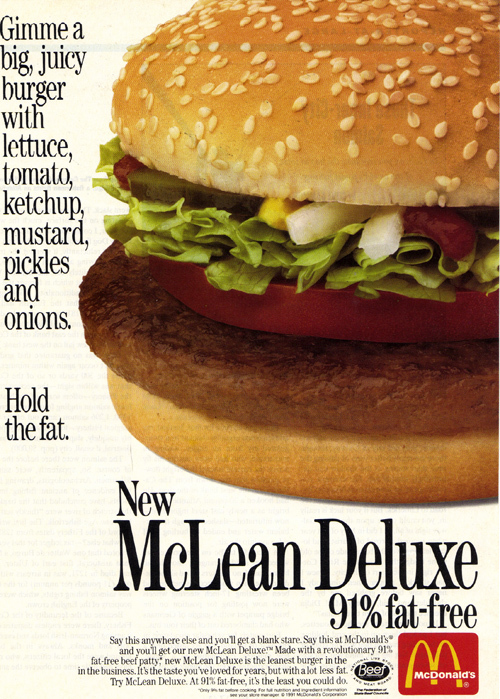 Or the debacle that was olestra in WOW branded low-fat chips? We could go on, but you get the idea. At their debut, we called Satisfries a bizarre attempt to claim a healthy halo for french fries. So take heed, food marketers. If you want to exploit a healthy food halo, low-fat sugar-free donuts are not the way to go. Selling really healthy food can be done, but it’s hard work and it takes a long time. To make a quick buck, you have to take a food that already has a healthy halo — let’s say yogurt — and add lots of sugar, sprinkles, and other yummy stuff to it. Panera and Chipotle are using this formula to eat away at McDonald’s dominance of fast food. With healthy halo concepts like whole grain bread, fresh local ingredients, and antibiotic-free poultry, they are selling food that packs as many or more calories as a Big Mac, but calling it healthy. Click here to read an analysis by the Motley Fool and here to get consumer views from The Onion.